The county seems to have all the luck when it comes to hidden treasure. A valuable stash of jewellery – which could be the oldest Iron Age gold ever discovered in Britain – has been found in Staffordshire. 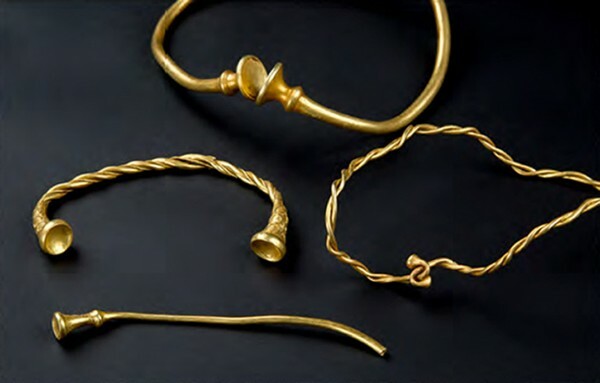 The find, named the Leekfrith Iron Age Torcs, was unearthed by keen treasure hunters and lifelong friends Mark Hambleton and Joe Kania in December 2016 on farmland in the parish of Leekfrith in the Staffordshire Moorlands. Staffordshire has been a bit of a goldmine (literally) for hidden treasure in recent years. The largest amount of Anglo-Saxon gold ever found – famously known as the Staffordshire Hoard – came from Hammerwich, near Lichfield in 2009. The treasure seems to be spread throughout the county as this latest discovery was found 45 miles north of there. 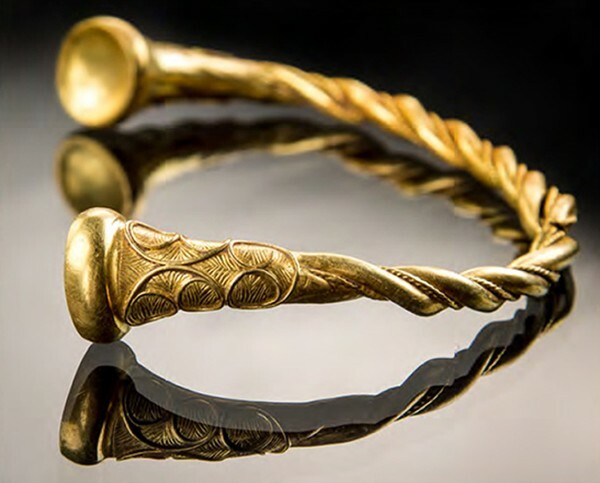 The stash contained four impressive torcs – three necklaces and one bracelet – which Dr Julia Farley, curator of British and European Iron Age collections for the British Museum, reckons were worn by wealthy and powerful women. The decoration on the bracelet is thought to be some of the earliest Celtic art from Britain. 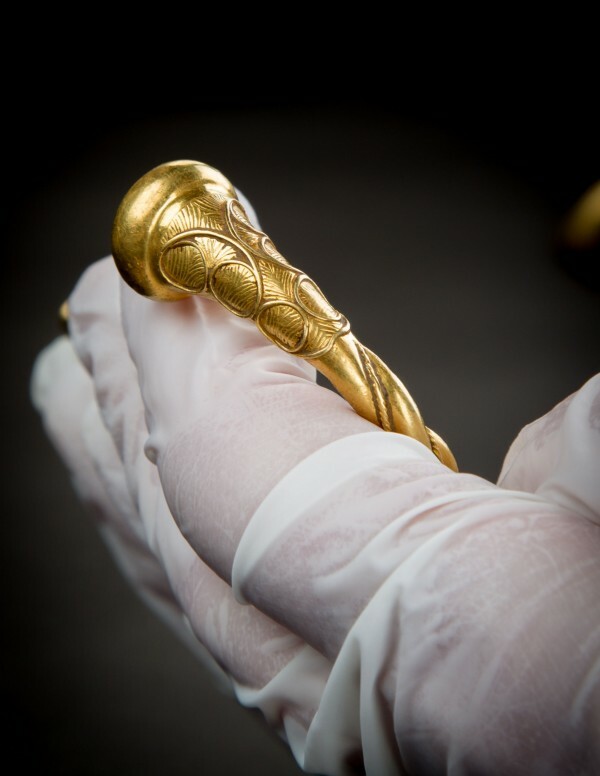 The pieces are yet to be provisionally valued by an expert – but the Staffordshire Hoard came in at a whopping £3.3 million at the time, so it’s looking good. Previous article Can you match these award-winning actors to the film that won them their Oscar?